The CR9071E is a pulse module for the high-performance CR9000X and CR9000 measurement and control systems. It has 16 digital I/O channels and 12 pulse counting channels. All 28 channels can be used for interval timing. It includes a CR9071EC Easy Connector. The CR9071E is a pulse module for the CR9000X-series and CR9000-series dataloggers. 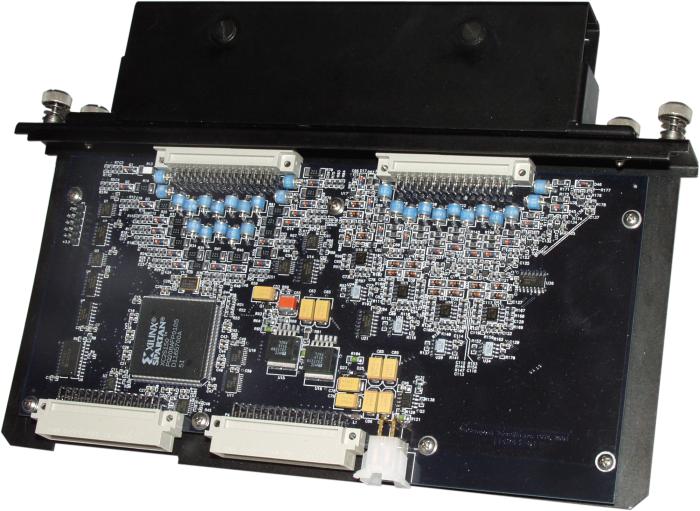 It contains 16 digital I/O channels and 12 pulse counting channels that can measure frequencies up to 1 MHz. All 28 channels can be used for interval timing. The CR9071E includes one CR9071EC easy connector module. Easy connector modules allow sensor wiring to remain connected while the pulse module’s measurement electronics and the rest of the datalogger system are used elsewhere. Additional CR9071ECs are purchased as a separate line item. Improvements over its predecessor (the CR9070) include better overvoltage protection, increased channel-to-channel crosstalk isolation, interval (edge) timing with 40 nanosecond resolution, and a Wait Digital Trigger function.